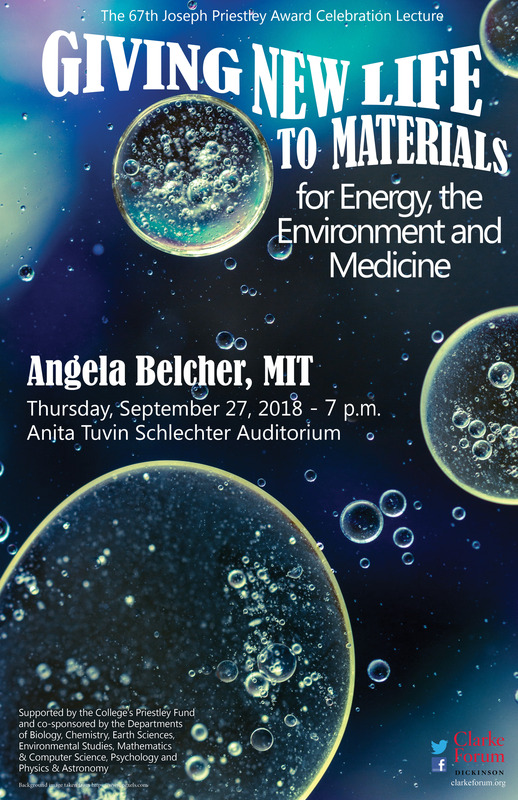 This talk will address the possibilities Engineering Biology provides for working with a larger toolkit of materials to tailor properties in devices for energy, environmental remediation, and cancer diagnostics and treatment. The Joseph Priestley Award recipient is chosen by a different science department each year. The Department of Chemistry has selected this year’s recipient. The event is supported by the College’s Priestley Fund and is sponsored by the Clarke Forum for Contemporary Issues and co-sponsored by the departments of biology, chemistry, earth sciences, environmental studies, mathematics & computer science, psychology, and physics & astronomy and the Churchill Fund. It is part of the Clarke Forum’s Leadership in an Age of Uncertainty Series. She received her B.S. in creative studies from The University of California, Santa Barbara (UCSB). She earned a Ph.D. in inorganic chemistry at UCSB. Following with her postdoctoral research in electrical engineering at UCSB. 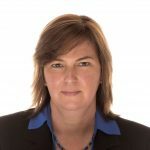 She now holds the James Mason Crafts Professor of Biological Engineering and Materials Engineering at MIT. 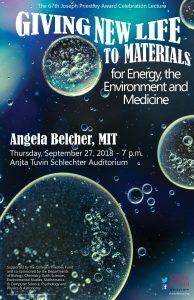 She is faculty in the Department of Biological Engineering, Materials Science and Engineering and the Koch Institute of Integrative Cancer Research. She teaches undergraduate subjects in material sciences and engineering and biological engineering. 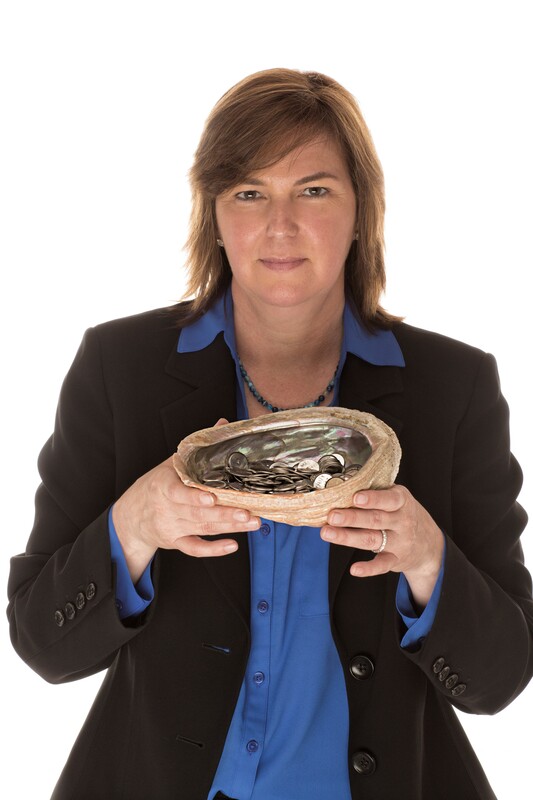 In 2002, she founded the company Cambrios Technologies, Inc., and in 2007 she founded Siluria Technologies, Inc. Some recent awards include the 2013 $500,000 Lemelson-MIT Prize for her inventions, 2010 Eni Prize for Renewable and Non-conventional Energy, in 2009 Rolling Stone Magazine listed her as one of the top 100 people changing the country. In 2007, Time magazine named her a “Hero”- for her research related to Climate Change. In 2004, she received the Four Star General Recognition Award (US Army) for significant contribution to army transformation. In 2000, she was awarded the Presidential Early Career Award in Science and Engineering (PECASE). She was named Research Leader of the Year by Scientific American, and is a MacArthur Fellow, a Packard Fellow, a NAI (National Academy of Inventors) Fellow, an Alfred P. Sloan Fellow, a NAE (National Acedemy of Engineers) Fellow, and a member of American Academy of Arts and Sciences. Lawrence Hall of Science – Who Works on Nanotechnology?